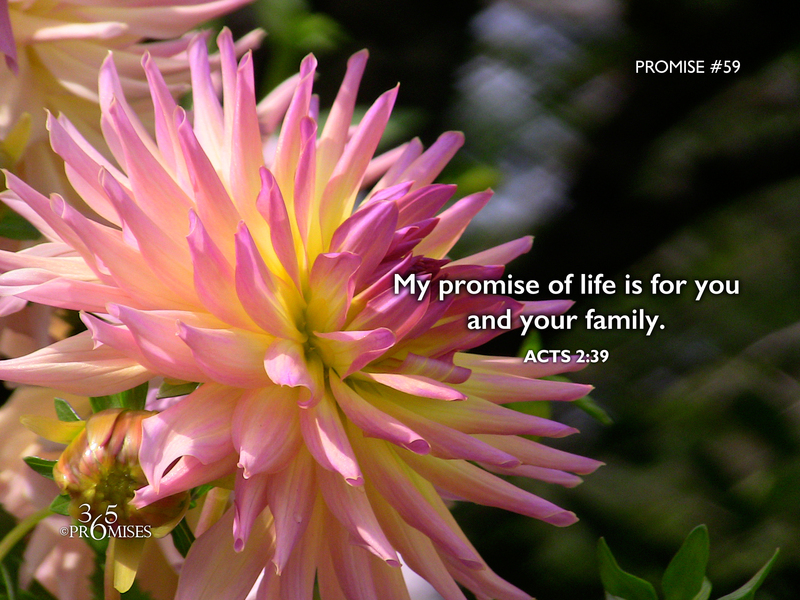 My promise of life is for you and your family. In Acts 1:4-5, Jesus told His disciples to wait for the Holy Spirit that His Father has promised to pour out on all flesh. In Acts 2:39, after the group of 120 were baptized in the Holy Spirit, Peter gets up and tells the people listening that this same promise of life is for all that are near and all that are far and for their entire families. God's heart is not only to pour out His precious Spirit on us, but on our children as well. If you have family members who are not yet experiencing the reality of this promise in their lives, don't give up! Keep praying! Keep believing for their salvation. Our God and Father's desire is that not one person would miss out on the glorious benefits of His promised Holy Spirit.